Full-view, full screen, bezel-less, tri-bezel-less, FullView, FullVision, Infinity Display - whatever you and your favourite manufacturer decides to call it, the new trend is clear - bezels are so 2016! In the build-up to the flexible display revolution and potentially a long-overdue renaissance of mobile phone design, impressive display aspects and proportions seem to be the most exciting alternative to the boring "slab" form factor. 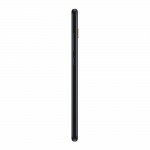 Any way you cut it, Xiaomi and the original Mi Mix need to be acknowledged in any such design-trend analysis. While last year's model is technically not the first to employ a bezel-less design, its implementation definitely made a big splash on the mobile scene. A pretty progressive one at that, essentially spearheading the new trend. We have to hand it to Xiaomi. When good value is the game, it has proven more than ready and capable of manoeuvering in a tough market. Equally so, when its time to show off, the Chinese overachiever has a tendency of going all in. The Mi Mix 2 takes after its flamboyant predecessor in most ways. 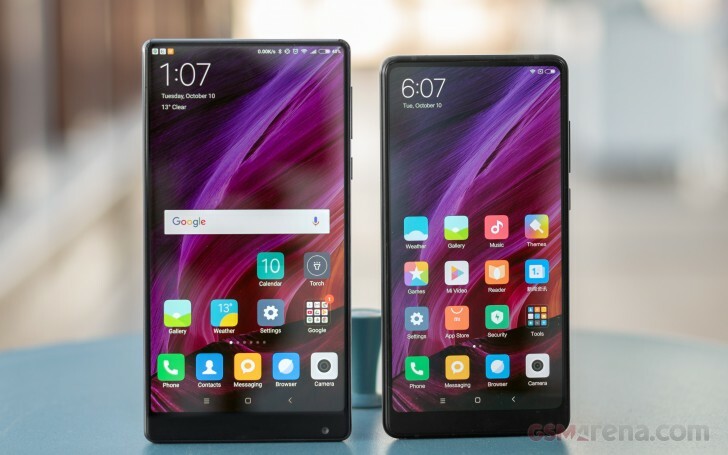 However, Xiaomi has also dialed back on some aspects this time around and arguably managed to deliver a more sensible and approachable handset. As great as the original was, it was simply out of reach for most, be it for financial, availability or even practical reasons. In its second version, the Mix gets a traditional earpiece above the display, in place off the expensive and kind of finicky under-display one of the original. While this hasn't harmed the bezel-less look all that much, it definitely brings costs down. The same goes for the new bill of materials. Ceramic still adorns the back plate of the base Mi Mix 2 model, but now you have to shell out for the Special Edition to get the frame in ceramic as well. This is all a textbook case of product maturity, if we ever saw one. 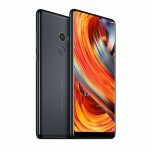 Refined and no longer in incredibly short supply, Xiaomi now has the means to offer the Mix design to a wider audience and with a RMB 3,299 (€420) starting price - almost $100 less than the launch price of the original. Internal hardware value has been allocated better this time around as well. Besides offering up the Snapdragon 835 powerhouse and a choice between 6GB and 8GB of RAM, combined with equally opulent storage options, up to 256GB, Xiaomi has brought in a major camera upgrade as well. 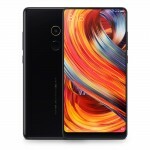 Armed with a 12MP Sony IMX386, OIS-enabled module, the same one inside the Mi 6, the Mi Mix 2 leaves the sub-par shooter of its predecessor in the dust. Even the 5.99-inch FullHD+ (2160x1080p) display, arguably makes more sense, with its increasingly standard 18:9 aspect ration. All things considered, the Mi Mix 2 has all the makings of a really exciting product and one you could actually pick up today - a major issue with its showcase predecessor. Join us on the following pages, as we explore the Mix 2. Update Oct 25: We've added a fresh new page of extra content focused on what's different if you get this phone with MIUI 9 instead of MIUI 8. I haven't tried it but it should as it's stock with a locked bootloader.